High mountains? Steep slopes? And cold too? Welcome to the SKI PLUS zone! High mountains? Steep slopes? And cold too? Welcome to the SKI PLUS zone! 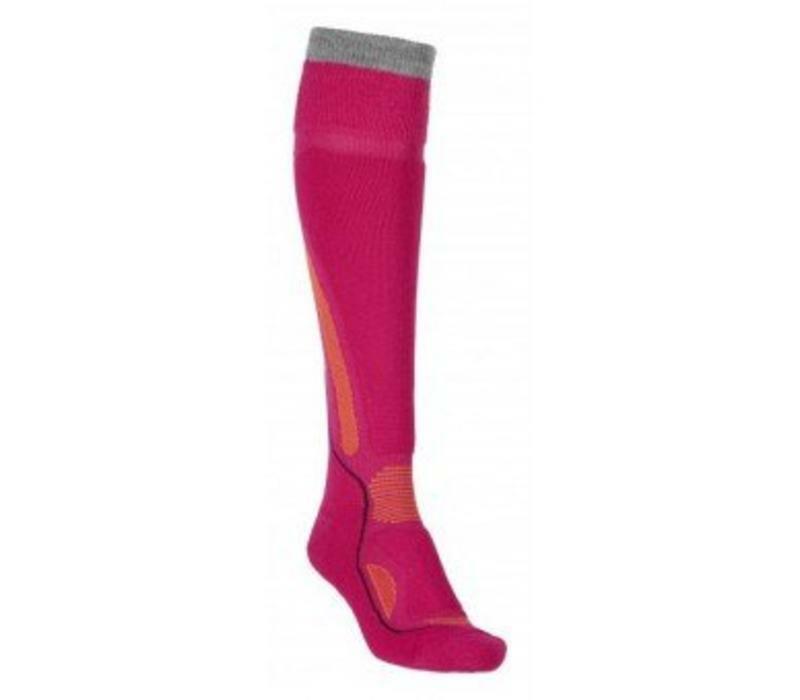 They have a high cut for good, non-slip enclosure of the calf.The high proportion of wool (60%) prevents nasty odours, thus also extending the odour-free life of your ski boots. Synthetic fibres and zone-specific reinforcements make these socks highly durable. The sole area is cushioned and the heel is reinforced. The Elastic Support System and double stretch waistband provide a flawless, non-slip fit. The mesh and ribbed structures used in specific zones improve temperature and moisture management. The right and left socks are shaped individually. In pink (very berry) and sizes EU 35-37, 38-39, 40-41, 42-43.